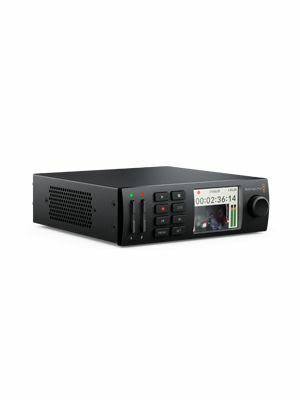 ATEM Television Studio Pro HD by Blackmagic Design is the first live production switcher, which is designed for both AV professionals and broadcasters. 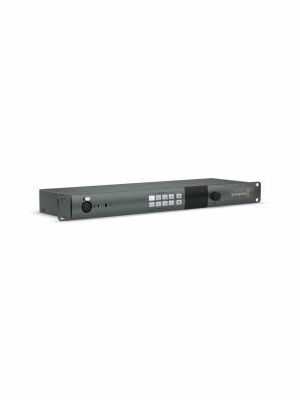 This ATEM switcher includes 4 HDMI and 4 SDI inputs where user can connect up to 8 sources. 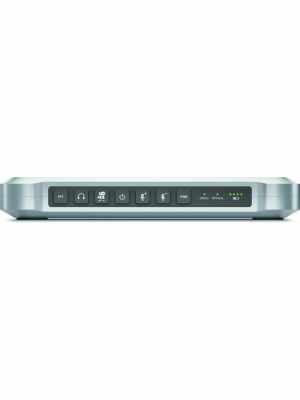 Smart Videohub 20 x 20 is a larger advanced Ultra HD mixed format router with built in control panel and monitoring. Ideal for larger workgroups and mobile broadcasting, it includes advanced 6G-SDI connections so you can simultaneously connect and route any combination of SD, HD and Ultra HD video all on the same router at the same time! You also get revolutionary new visual routing that lets you see your router connections as video on the built in LCD as you scroll the knob to select your routing. Now you can route your video simply by looking at the video! Innovative control and monitoring in a compact design! Scan through video at lightning speed! Smart Videohub's super fast spin knob control lets you dial though your router cross points while displaying live video combined with custom on screen labels. Scroll order is arranged alphabetically so it’s easy to find the crosspoint you are looking for! The spin knob control combined with visual routing is the fastest way to route! Imagine scrolling through your connections while viewing them as live video on the LCD! On screen labels support unicode so they work in non Roman character sets such as Chinese, Japanese, Korean, Russian, German, French, Spanish and more. That means if you have labels in Japanese it will appear on the front panel in Japanese exactly the same as it appears on the software control panel on your computer. Up to 20 advanced SDI connections! 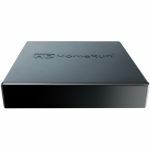 Control Panel Included: ATEM Software Control Panel included free for Mac OS X 10.10 Yosemite, Mac OS X 10.11 El Capitan or later and Windows 8.1 64-bit or Windows 10 64-bit. Software Updates: Using USB connection directly connected to Mac OS X or Windows computers or via ethernet. Includes ATEM Switcher Utility. 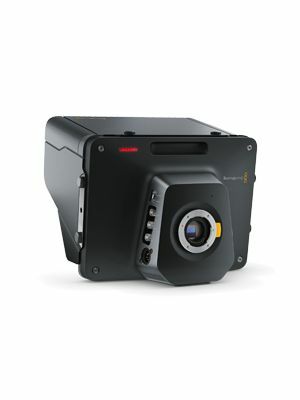 Tally Output: Added via ethernet connection to Blackmagic Design GPI and Tally Interface product. (Not included. Operating Systems: Mac OS X 10.10 Yosemite, Mac OS X 10.11 El Capitan or later. Windows 8.1 64-bit or Windows 10 64-bit.